Congratulations to Brooke Lesniak - 2018 International Rookie of the Year! 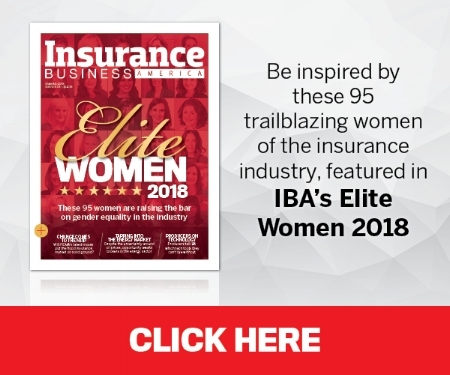 Michele Epstein, MLIS, AAI, AIS, CPIW- Member at Large is featured in IBA's Elite Women 2018. We are so proud of you and your accomplishments! Honored with Lifetime Achievement Award!! 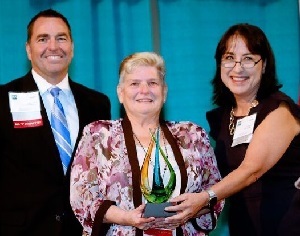 Nov. 9, 2017, SACRAMENTO, CA -- The IBA Sacramento honored long-time industry leader, Rose Kaerth, with the association’s first-ever Lifetime Achievement Award during the 2017 Sacramento “I” Day. Referred to as the “glue of the association,” Kaerth has left an “indelible mark” upon the IBA Sacramento Board of Directors and its members for almost 40 years. “The first-ever IBA Sacramento Lifetime Achievement Award represents excellence and dedication to our industry both in our local organization and working with the state association and other insurance-related organizations,” said IBA Sacramento Past President Irene Sabourin. Rose Kaerth began her insurance career in 1972 and has served on the IBA Sacramento Board for the past 38 years. In 1987, she became Executive Director of the Sacramento Association, a position she agreed to do for five years. 30 years later she is still the association’s Executive Director. “Rose has been recognized with many industry honors throughout her career but none as great as one named in her honor, Sabourin said. “The Rose Kaerth Lifetime Achievement Award will be bestowed on future deserving individuals who represent the values and dedication that she has shown to our industry. The IBA Sacramento also honored three other independent agents with local awards at this year's Sacramento "I" Day. Congratulations Rose, we are all so proud of you! !